At The Law Offices of Brian R. Whitehead, we are committed to providing the highest standards of legal service. We provide personalized, efficient and responsive representation to each of our valued clients. Our founding attorney, Brian R. Whitehead, works closely with each client to provide the consistent support and assistance they require. He takes time to educate clients about the law, return calls promptly and keep clients informed throughout the duration of their case. Attorney Brian Whitehead is a passionate advocate for the rights of the injured and disabled. 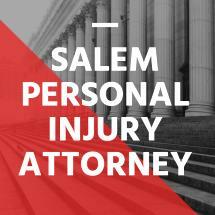 He aggressively pursues maximum compensation for individuals injured by the negligence and wrongdoing of others. Since 1983, he has successfully represented thousands of injured clients and has multiple verdicts and settlements exceeding one million dollars to his credit. He has also obtained the highest jury verdict in Marion County ever obtained on an injury claim. This means, no case is too complex for our firm. Throughout his career, Brian Whitehead has handled cases involving nearly every major injury imaginable, including paralysis, traumatic brain injury, back and neck injuries, spinal cord damage, burns, shoulder injuries, knee injuries, broken bones, loss of limb and wrongful death. In each case we handle, we prepare meticulously for the possibility of going to trial. When possible, we send experts to the scene of an accident to preserve evidence. We conduct thorough discovery and utilize the assistance of appropriate experts when necessary to prepare for trial. We negotiate with a firm resolve and will not hesitate to take a case to trial if the insurance company will not offer a fair settlement amount. We are selective in our cases and only pursue meritorious claims. We believe strongly that our clients benefit from our reputation for integrity and aggressive trial advocacy.